Now this is an interesting example of how a piece made for one purpose was reused. 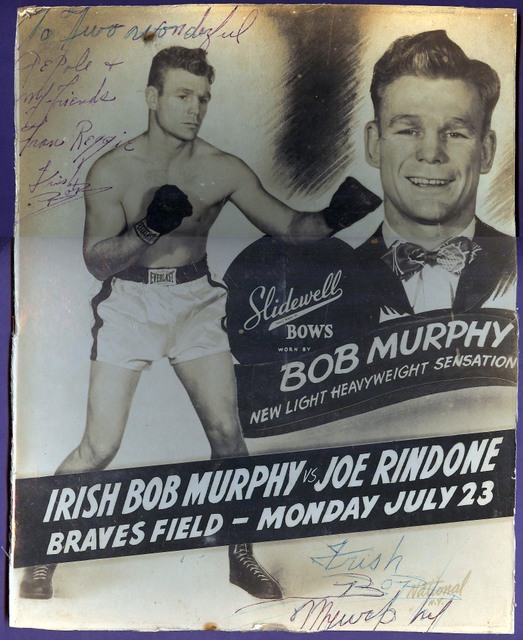 Bob Murphy's Slidewell Bows advertising piece had a new piece of copy stripped onto it to make this fight poster, which was then blown up and printed. Note the National studio logo at the bottom right that is not in the Slidewell ad piece.